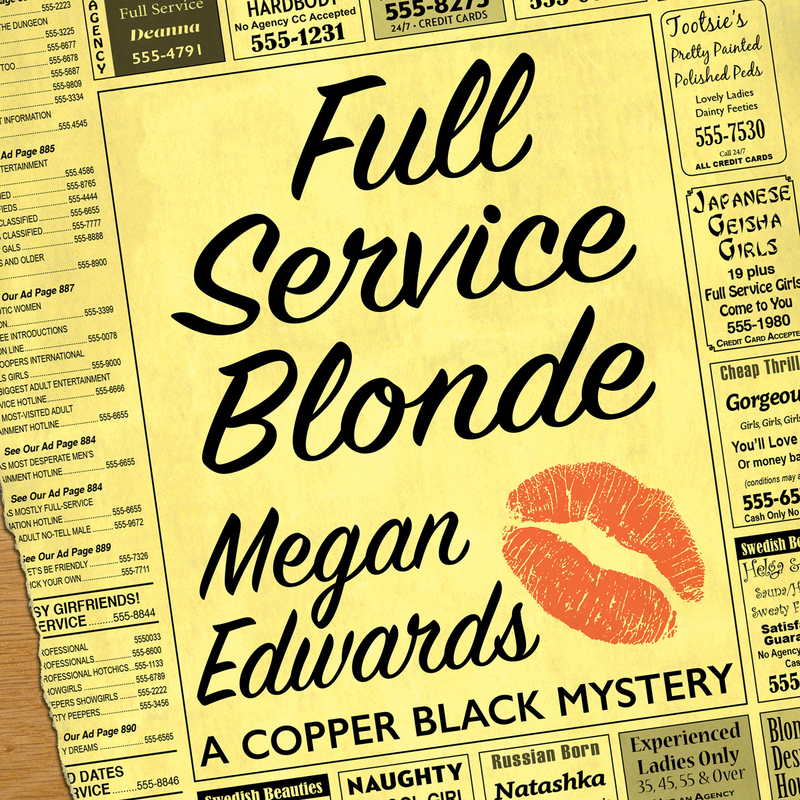 Full Service Blonde: A Copper Black Mystery is not only an entertaining mystery, it is a Las Vegas buffet of situations that prove that what happens in Vegas can happen anywhere… anywhere that has legal brothels an hour away in one direction and a Sekhmet Temple an hour away in the opposite direction. Copper Black, an aspiring newspaper reporter, finds herself becoming intimately familiar with the people and policies of each when she steps out of her role as calendar girl, the person who reports on society doings to investigate the murder of Victoria McKimber, a prostitute and the winner of a national sales contest for a line of famous beauty products. In this prequel to Getting Off on Frank Sinatra, 24 year old Copper moves to Las Vegas from Connecticut to take a job at The Las Vegas Light. It’s the Christmas holidays and her long-distance boyfriend, Daniel, is scheduled to spend a quiet and romantic week with her and her family, but as she showed in Getting Off on Frank Sinatra, Copper unlike her metallic namesake is a magnet for chaos, confusion and murder. The narrator, Em Eldridge, gives Copper just the right amount of both bravado and vulnerability. She delivers Copper’s dialogue with a light, sassy innocence, but she’s equally adept at portraying the other characters with the appropriate levels of concern, gravity or menace they require. Perhaps not everything that happens in Las Vegas can happen anywhere, but Edwards deals with a wide range of issues that occur everywhere…homelessness, corruption, land deals, homosexuality, abandoned children, sexual harassment in the work place, stereotyping, dysfunctional families, learning disorders, and questionable motives of charity supporters to name a few. In addition, she gives a fascinating description of the design and protocols of an actual brothel. She also dispels myths about the morality, motives and intelligence of women who work in brothels and she acknowledges the anti-Las Vegas bias that people often feel before they know the real city. This book might be considered a cultural guide to Las Vegas with its description of actual places and its veiled references to well-known Las Vegas places and personalities, but it’s first and foremost a superb story with a likeable and believable cast of characters.